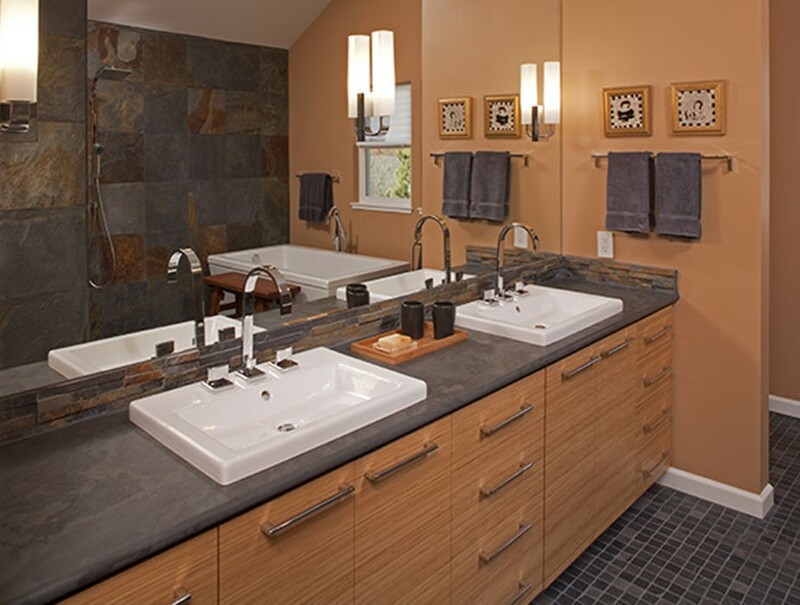 Caramel bamboo and charcoal grey slate set the warm and cool, yin and yang tone for this vaulted ceiling master bath. Shiny chrome fittings juxtapose with the rough stacked-slate backsplash. 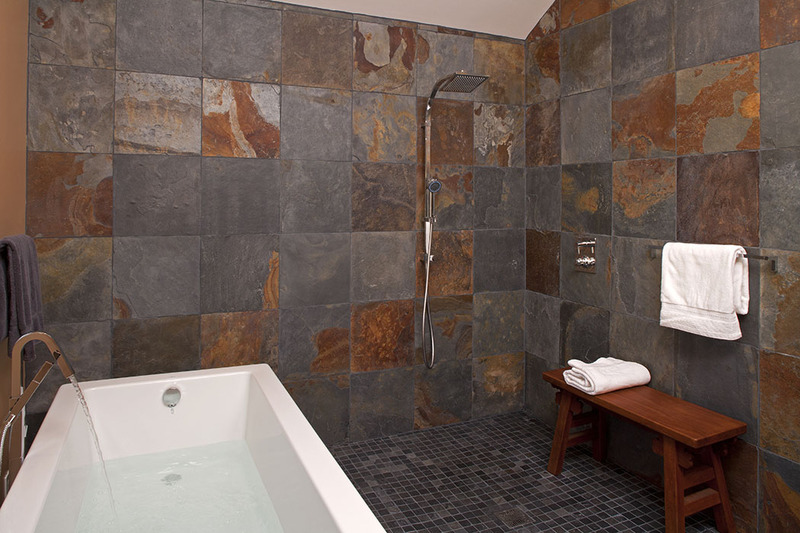 The slab countertop is honed slate, while heated flooring is 2 x 2 slate mosaic. The open walk-in shower reminds the client of his European travels. Soaking in the freestanding tub allows views of distant Napa vineyards.